If you're into robbing banks while in transit, check out the trance-heavy trailer below. Leave it to a group of masked jerks to finally stick it to those Washington fat cats. The Switch version features touchscreen menu control, and rumble support to help you and your pals glide straight into the frenzy of bullets and cash. A new mode is added to CRIME.net as well with "CRIME.net Local Play," allowing you and your co-op clown pals to huddle around a local connection and rob museums together. Finally, the Switch version adds a new member to the Clown Crew: Joy. A Japanese hacker, Joy comes with her own unique weapons and hacker perks. She's also brought her own LED lightup mask which changes her appearance throughout the mission. Let's just hope it doesn't come with a "gigantic bulls-eye" function. 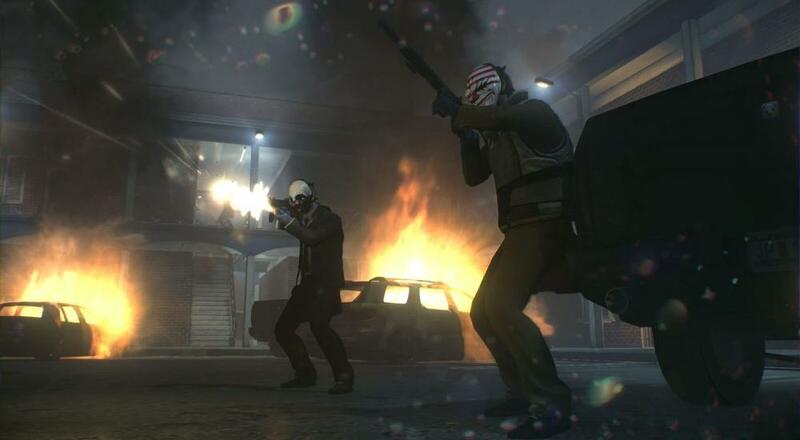 The much-beloved game has now made the rounds on every current gen (and most of last-gen) platforms, opening up the chaotic and morally bankrupt world of PAYDAY 2 to a new audience. We liked this game a lot when it came out, so hopefully the Switch version maintains all the glory.